Prefert ® Vaginal Gel is a lubricant for couples trying to conceive. during the fertile days of a woman (period of ovulation in the female cycle). When to use: On the 2 most fertile days of the female cycle (time of ovulation). – Provides an optimal environment for sperm. – Ideal pH for natural conception. – Improves mobility of sperm and reduces the osmotic barrier to optimize the sperm cells migration. – Prefert ® Vaginal Gel improves osmolality. Ingredients: Purifi ed Water, Sodium Chloride, Sodium Phosphate, Potassium Phosphate, Arabinogalactan, Hydroxyethylcellulose, Polyhexanide. Free of Parabens! 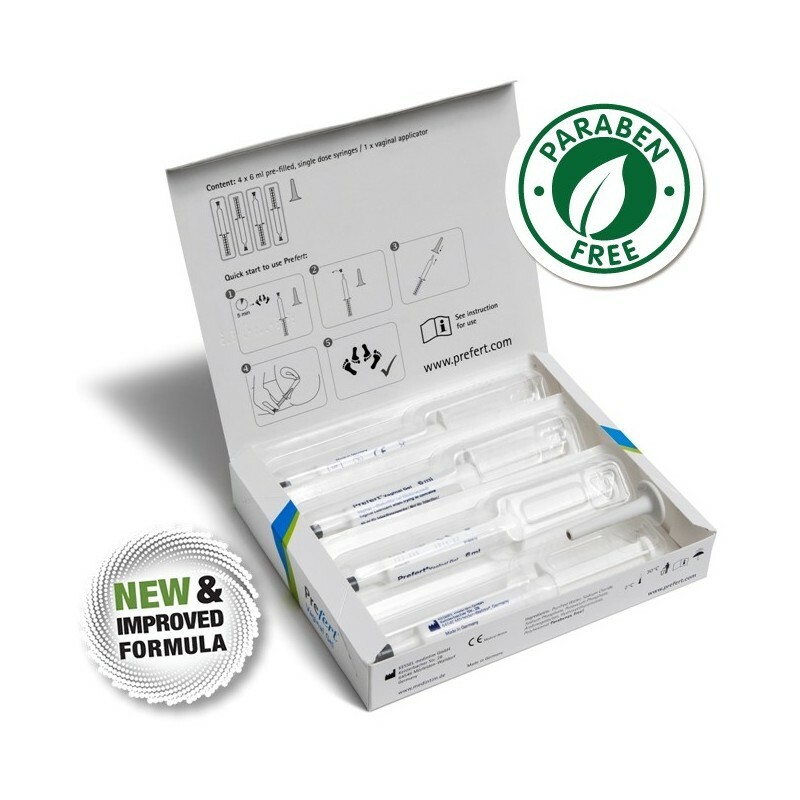 The content of this package is good for 4 applications (2 – 4 ovulation cycles). For home use.